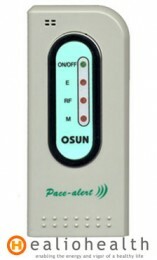 EMF detector health care device has one year warranty. After first year, annual calibration service is provided. One could purchase life time calibration service, or ask for the calibration done year by year. Emf meter size is 2.25"x5.25"x1"